The top photo above shows a menacing dust storm barreling through Cimarron County in far western Oklahoma. 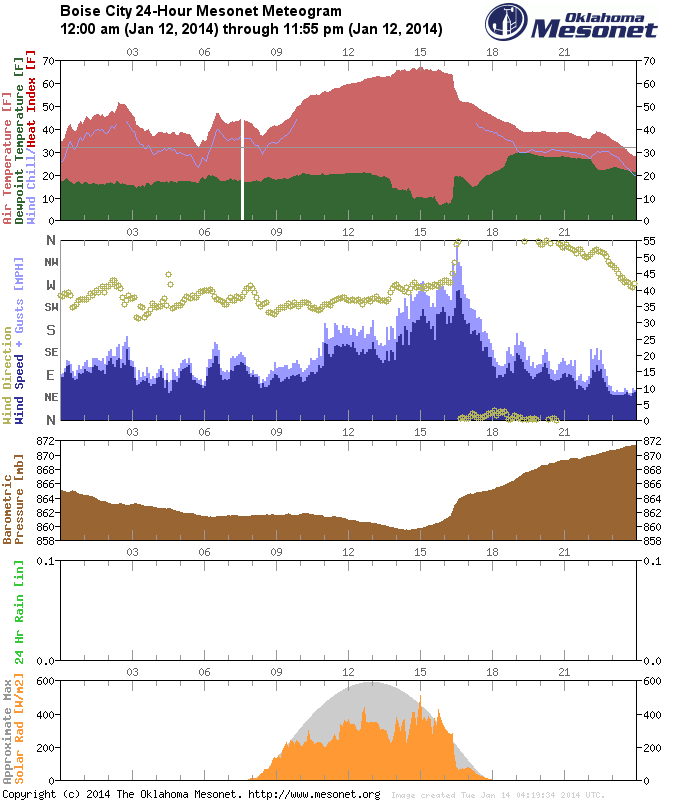 As a cold front swept pleasantly warm air out from under our feet on January 14 (2014), the northerly winds that came with it also swept in an old fashioned 1930s style dust storm across the Great Plains. The towering wall of dirt and dust looks like it belongs in a Ken Burns documentary. Temperatures dropped from the mid 60s F (18 C) into the mid 50s (12 C) in about an hour during the late afternoon as winds switched from the west-southwest to northerly and gusts reached 50 mph (80 km/ph). It seems that La Junta, Colorado, was the genesis of this event. La Junta is located around an area of exceptional drought, so it's not shocking that a duster would arise in this vicinity. 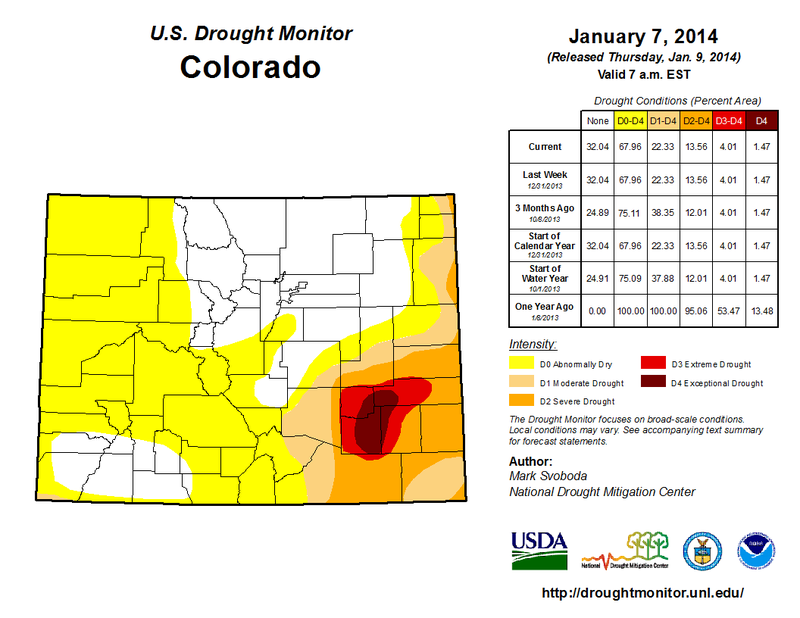 Moisture deficits in southeastern Colorado and the Oklahoma panhandle have continued for more than three years now. The second photo shows another view of the approaching dust cloud.